Century Cycles Blog: Crazy Christmas Sweater Saturdays start 12/5! 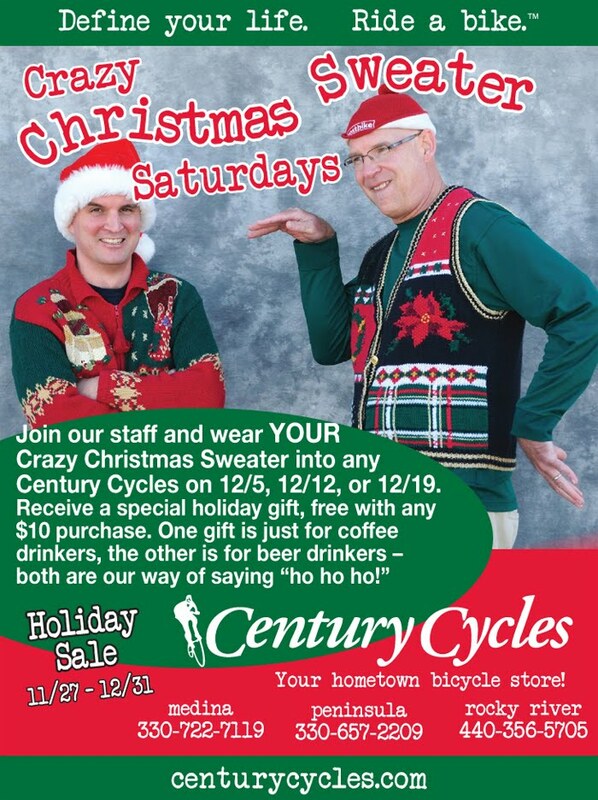 Ugly Christmas sweaters are the stuff of legends, of parties, and now of free gifts. Join us, won't you?